Joann has been working with dogs professionally for nearly twenty years, and specializes in educational event and seminar planning. In addition, she is a Fear Free™ Certified Trainer who focuses on problem-solving of dog behavior issues. She was selected as the 2018 Member of the Year by the Association of Professional Dog Trainers (APDT). She is a Certified Professional Dog Trainer through the Certification Counsel of Professional Dog Trainers (CCPDT) and the founder of The Loose Leash Academy. Joann received her education in dog training from the renowned Turid Rugaas International Dog Training Program; she’s one of twelve US-based dog trainers who has received an International Certification in Dog Training. The Turid Rugaas Program is one of the most prestigious in the world, and Joann is experienced in resolving dog behavior problems with the most effective, current, and humane training methods. Joann has over 20 years of experience organizing educational events for the medical field and for dog training professionals. Joann excels at educating and training people. She loves to see people have that “aha moment” when big concepts and hard work come together. Having been a Registered Nurse for thirty-six years, an Adult Nurse Practitioner for twenty- one years, and a Certified Professional Coder through American Association of Professional Coders for nineteen years, she has done everything from patient care, to management, to running continuing education programs for medical professionals. Joann currently organizes educational events for dog training professionals in subjects like dog aggression, therapy dog training, and obedience. Joann is an expert at organizing events, and has planned everything from 1-hour seminars to multiple-day international conferences. These events attract dog trainers, behavior consultants, rescue and shelter workers, animal control officers, veterinarians, vet techs, groomers, among others. The Loose Leash Academy is the culmination of career and calling for Joann, bringing together her passions, talent, and years of experience in education and dog training. She serves as a representative for the United States with the Pet Dog Trainers of Europe. 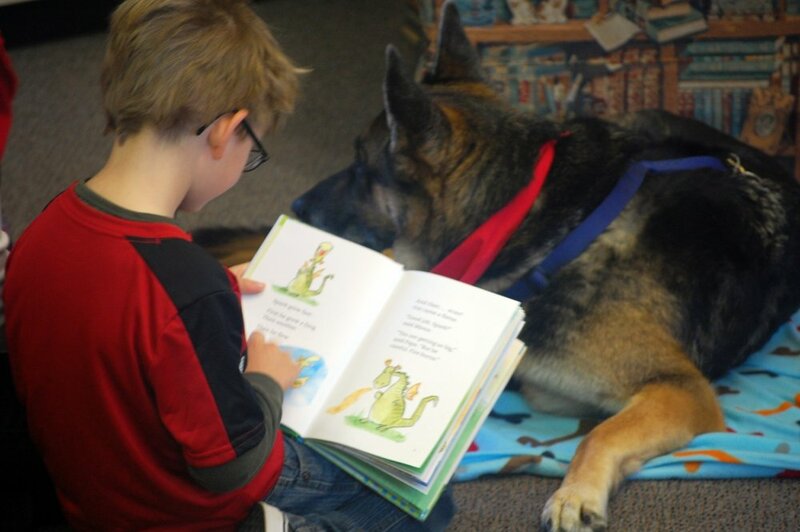 She has assisted with therapy dog testing and was a handler with her own three dogs for Therapy Dogs International. She co-founded two Therapy Dogs International chapters in Rochester, New York and St. Petersburg, Florida. Joann mentors therapy teams and teaches therapy dog seminars. Besides her membership with APDT, Joann is a member of Pet Dog Trainers of Europe, International Association of Animal Behavior Consultants, American Kennel Club, and the Alliance for Therapy Dogs. She holds a Master of Science degree in Nursing. She holds a Master of Public Health degree in Occupational Health. She was a Certified Professional Medical Coder for 19 years. Want to host a seminar at your dog training facility or event, but don’t know where to start? We can help organize events as simple as a 1-hour seminar, or as complex as a multiple-day conference. Our mission is to bring modern and humane training methods to dog professionals and their clients!